A cyberducklicense file extension is related to the Cyberduck for Mac. A cyberducklicense file contains license data. What is cyberducklicense file? How to open cyberducklicense files? The cyberducklicense file extension is associated with the Cyberduck application for macOS (OS X), which allows users to connect to cloud storages. This file contains license information for Cyberduck program. 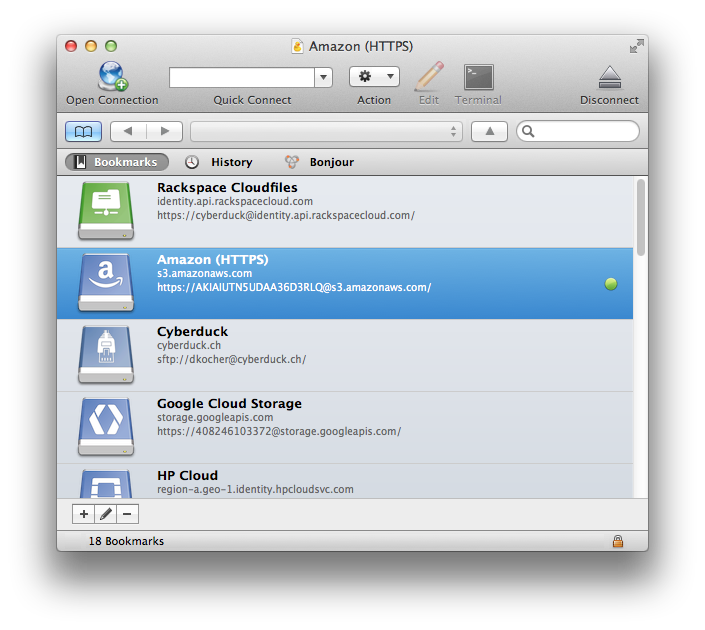 Cyberduck is a libre, open source FTP, SFTP, WebDAV, Cloud Files, Google Docs and Amazon S3 browser for the Mac. It features an easy to use interface with quickly accessible bookmarks. and possible program actions that can be done with the file: like open cyberducklicense file, edit cyberducklicense file, convert cyberducklicense file, view cyberducklicense file, play cyberducklicense file etc. (if exist software for corresponding action in File-Extensions.org's database). Click on the software link for more information about Cyberduck. Cyberduck uses cyberducklicense file type for its internal purposes and/or also by different way than common edit or open file actions (eg. to install/execute/support an application itself, to store application or user data, configure program etc. ).